Our Advocacy work takes two different aspects; political and personal. Our Personal Advocacy is centred on peoples need. Filling out forms and finding the right documents can be stressful and confusing at the best of times, let alone in a new country and often in a new language. At TIRC we try to offer as much guidance and help as we can with settling in to Irish life. We can help with filling out forms and advice on how to navigate bureaucracy, such as getting a PPSN number, finding a house and finding work. Our political advocacy attempts to positively influence the bureaucracy that service users have to navigate. We work towards raising awareness of important issues that affect new migrants and Asylum Seekers such as Direct Provision and the International Protection Bill. The International Protection Act, 2015 was enacted on the 30th of December, 2015. Under the new law, a single application process is designed for obtaining refugee status and subsidiary protection. a person who is eligible for refugee protection on the basis of a well founded fear of persecution in the country of origin or habitual residence. ‘Persecution’ means acts constituting a severe violation of human rights perpetrated by reason of race, religion, nationality, political opinion or membership of a particular social group. a person who is eligible for subsidiary protection on the basis or real risk of suffering serious harm in the country of origin. ‘Serious harm’ includes execution, torture or serious threat to a civilians life or person in a situation of armed conflict. Temporary Protection in the form of a permission to remain in Ireland for a year in the event of mass influx of displaced persons following a Council decision under Article 5 of the Council Directive. Irish visas or transit visas are also provided free of charge. Provision to notify the Child and Family Agency if an unaccompanied child seeks to make an application for international protection and to provide appropriate care and welfare to such children as per the law. A new unit under the Minister of Justice and Equality called the Protection Office would replace the ORAC and the Refugee Appeals Tribunal would be replaced by International Protection Appeals Tribunal. A refugee is a person who owing to the well-founded fear of being persecuted by reason of race, religion, nationality, political opinion or membership of as particular social group is outside his or her country of nationality or habitual residence and is unable or unwilling to avail the protection of that country or return to that country. An asylum seeker is a person who seeks to be recognized as a refugee. What is the process involved in obtaining refugee status? The application for declaration as a refugee is made to the Minister for Justice and Equality. However, the Office of Refugee Applications Commissioner (ORAC) accepts the applications and investigates each of them and make the appropriate recommendations to the Minister of Justice and Equality. Based on the recommendations made by ORAC, the Minister issues a statement in writing declaring an applicant as a refugee. The applications for the family members of the Refugees to come and reside in Ireland are also investigated by the ORAC and appropriate recommendations are made to the Minister. The application should be accompanied by the applicant’s original travel document like the passport, original identity documents, birth and marriage certificates if relevant. the legal basis on which the person seeks to enter and remain in the state, etc. the reason why the person came to Ireland. An interpreter can be made available whenever possible and necessary. If the claim of an asylum applicant is to be prioritized, they will be informed of this at the time of the preliminary interview. reason for seeking asylum, etc. Timeline for the return of the completed questionnaire: The completed questionnaire has to be returned to the by prioritized applicants within 6 working days and non-prioritized applicants within 7 working days. Fingerprinting and photographing: All applicants are photographed and those over 14 years of age are fingerprinted. Issue of a temporary residence card: The applicant is issued a temporary residence certificate/card. This is evidence that the person concerned has applied for asylum. However, this is not an identity document. Applicant referred to the Reception and Integration Agency (RIA): The applicant is then referred to the Reception and Integration Agency counter located in ORAC building itself. The RIA is responsible for providing accommodation and co-ordinating with other state agencies to provide ancillary services such as health, social services, welfare and education, etc to the asylum seekers while their applications are being processed. In Ireland, the Direct Provision System is followed to provide these facilities to the asylum seekers. Direct Provision System: Under this system asylum seekers are provided with full board accommodation free of utility or other costs. The asylum seeker applicants are not obligated to avail themselves of the accommodation provided by the RIA. They may choose to live with friends or relatives or make use of their own resources to source accommodation. Substantive Interview: In order to further investigate the application, the applicant is invited to an interview at a date, time and place notified in writing. The interview is conducted by the ORAC caseworker with the necessary training. An interpreter is provided if necessary. The applicant can submit documentary evidence and or make written submissions to support the asylum claim. A written record of the proceedings is maintained by the interviewer which the applicant reviews and signs to confirm the accuracy of the proceedings. A copy can be requested by the applicant. Legal Representation: The applicant can obtain legal advice from the Refugee Legal Service (RLS) in the completion of the questionnaire and preparation for substantive interview. The applicant can also appoint a private legal practitioner at his own cost. The legal representative can be present at the substantive interview and is also permitted to make pertinent points at the end of the interview. Report by ORAC caseworker: The ORAC caseworker evaluates the questionnaire, the findings at the preliminary and substantive interview and the documentary and oral evidence submitted. Crucial information such as situation in the country of origin of the applicant is analyzed with the help of resources like the Refugee Documentation Centre (RDC). Finally, a written report is prepared containing a recommendation on whether refugee status can be granted or not. A copy of the report is send to the applicant by registered post. If the recommendation of the ORAC is positive then the Minister for Justice and Equality will make the declaration that the applicant is a refugee except where questions of national security or public policy arise. If the recommendation made by the ORAC is negative then the applicant can appeal to the Refugee Appeals Tribunal (RAT) within 15 days of the sending of the negative decision to the applicant. There is no appeal when the applicant has withdrawn the asylum application or when the application is deemed to be withdrawn because of the failure by the applicant to observe certain legal obligations. Refugee Appeals Tribunal proceedings: The applicant is entitled to request an oral hearing in most cases. The applicant will be notified in writing of the decision of the RAT. If the decision of the RAT is positive then the Minister for Justice and Equality makes a declaration granting refugee status and if the decision is negative then arrangements would be made for the removal of the applicant from the state. Programme refugees are usually persons invited in to Ireland by the Government in response to a humanitarian crisis or at the request of the United Nations High Commissioner for Refugees (UNHCR). The names of such persons are usually entered in the register maintained by the Minister for Foreign Affairs. 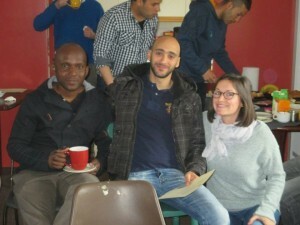 Ireland joined the UNHCR Resettlement Programme in 1998 and has been accepting a specific number of applicants each year. Most recently, Ireland has established the Irish Refugee Protection Programme and agreed to accept migrants fleeing the conflict in Syria under the EU-wide resettlement scheme proposed by the European Commission.. The people admitted to Ireland for permanent resettlement are granted ‘programme refugee status’ on arrival. In the normal course, programme refugees are initially accommodated by the Reception and Integration Agency for a period to facilitate a language training and orientation programme while the accommodation is sourced in local communities. Subsidiary protection is granted to a person in respect of whom substantial grounds have been shown for believing that the person concerned if returned to his or her country of origin would face a real risk of suffering serious harm and who is unable or owing to such risk unwilling to avail himself or herself of the protection of that country. ‘Serious harm’ means serious threat to an individual’s life or person including threat of execution, torture and degrading punishment because of indiscriminate violence in the situation of an international or internal armed conflict. Who can make an application for subsidiary protection? Any person who makes a new application for refugee status can also apply for subsidiary protection. An applicant whose refugee status application is pending as on 20th April 2015 can make an application for subsidiary protection by submitting a completed ORAC form SP/04 to the ORAC office and can furnish further details by completing the ORAC form SP/05. An applicant should not be an EU national. Applications for subsidiary protection would be investigated and decided by Refugee Applications Commissioner. The applicant has to attend an interview at the Office of the Refugee Applications Commissioner (ORAC) office at a fixed date and time to establish the complete details of the claim for subsidiary protection. An interpreter will be provide whenever necessary. The applicants can make written representations relating to their claim at the time of the interview. Following the interview and investigation a written report is made by the Refugee Applications Commissioner and a recommendation is given to the Minister for Justice and Equality on whether or not the applicant is eligible for subsidiary protection. If the recommendation of the Commissioner is positive, the Minister for Justice and Equality will issue a declaration granting subsidiary protection. If the recommendation of the Commissioner is negative, an appeal can be made to the Refugee Appeals Tribunal within 15 working days of sending of the notice of negative recommendation by the Commissioner. If the applicant requests, the Tribunal would hold an oral hearing. If subsequently the Tribunal makes a negative recommendation and the Minister refuses to issue a declaration the applicant can make a representation to the Minister within 15 days setting out the reason why the applicant should be allowed to remain in Ireland. The applicant can consult a solicitor about his application for subsidiary protection and can avail the services of the Refugee Legal Service (RLS). This is one of the largest misconceptions. Seeking Asylum in Ireland is a long and incremental process involving filling out a questionnaire, an Interview stage (after which most Asylum seekers can expect to be denied asylum) and a Appeal Stage. Each stage is slow and details of the application are closing reviewed and studied by deciding officers. If recognised as a Refugee he/she is entitled to remain in the state and is afforded the rights under Irish law. In 2006, 199,850 people sought asylum in European Union countries. Only 2% of the applications were made in Ireland (4,310 people). The number of Asylum seekers in Ireland is constantly growing. There has been a 63% decrease in asylum applications in Ireland since 2002. Asylum seekers do not receive large sums of money from the state as they awaited decisions on their status within this country. Each adult Asylum Seekers receives a personal allowance of €19.10 per week and €9.60 for each child. They do not enjoy free cars and phones from the state as reported by some outlets. Asylum seekers are expected to stay at the regional centre while their application for a declaration as a refugee is being processed. Accommodation is full board, which includes bed, breakfast, lunch, and evening meal. However Asylum seekers are not allowed to seek alternative accommodation in the private rented sector during this time and have very little freedom. They are not allowed to be absent from their designated accommodation centre for more than 3 consecutive nights. If they are, the Reception and Integration Agency (RIA) will deem the bed space abandoned. They have to abide by House rules posted in each accommodation centre. While resident in the centres, they must abide by these rules. Fact: They get full-board accommodation (shared, hostel type) while applications are processed. Adult Asylum Seekers only get €19.10 a week while children get €9.60. This tiny amount is supposed to cover all costs. They do not enjoy free cars and phones from the state as reported by some outlets. Asylum Seekers are not entitled to work or carry on any business, trade or profession. Returning home in safety and dignity is the solution best preferred by refugees. For example, the majority of the Kosovars who were given safety in Ireland in 1999 voluntarily returned home when it was safe. There is no evidence that the rate of crime is higher among asylum-seekers or refugees than in the population as a whole. Asylum-seekers and refugees are also the victims of crime, including sometimes violent assault and harassment. Anyone who has committed a crime against peace, a war crime, a crime against humanity, or a serious non-political crime is excluded from being recognised as a refugee.